Following on from my post about my lack of public speaking skills, I've decided that one of my Chartership goals is going to be improving my ability to network. Networking is not a word that I've ever felt comfortable with. I'm a shy person by nature and the idea of 'working a room' is just not something that has ever appealed. However, I understand the value of having a network of people that you can turn to for professional advice so I've dusted off my LinkedIn profile and am attempting to be more proactive when I go to events from now on. instead of worrying about people saying no to you when you're networking, think about the consequences of them saying yes - focusing on something positive helps you to project a positive attitude which others will respond to. And remember that if they do say no, it's not the end of the world! 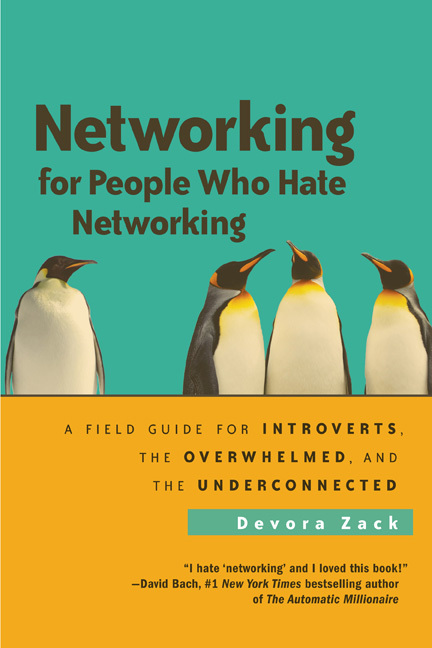 One of the books I found most useful was "Networking for People who Hate Networking", which is geared towards introverts like me. I had always assumed that you had to be outgoing to make the most of networking but this book shows that this isn't always true; it helps but it's not essential. The key to being an introverted networker is to take time out to prepare and think. I'm always more comfortable in situations where I can think things through in advance so this idea really appealled to me. Finally the most important thing to remember about networking is that not everyone will do it the same way, for example introverts and extroverts will be completely different. Look around, read some blogs/books and take the advice that works for you, not necessarily what works for everyone else! Great post - really helpful! 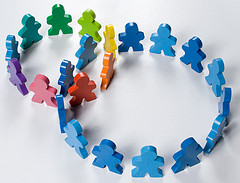 I find network really hard and am going to take these tips on board for next conference! Thank you - networking is so important, I hope I can improve my skills with these tips! Thanks Charlotte, I'm glad they helped. Networking is something that I really struggle with - hopefully I'll be able to put my own advice into practice! Claire, enjoyed your post and glad to see your list of networking tips. - draw a mind map or spider diagram of your networks (include professional, social, work, family etc) and you'll realise how much networking you're already doing. It will also help you see which networks you'd like to participate in. Thanks Kate, those are some excellent tips. I think having a jumping off point for conversations is really important since that's the bit that I struggle with the most. Once I've managed to stike up a conversation with someone I'm usually OK. I also think that making a map of your existing networks is a great idea and something that I'll try and put into practice.